Electronics design within DARE used to be done by designing and implementing electronics focused on the specific hardware needs for each of our projects. We found this to be an inefficient and error-prone way of providing the necessary electronics for each of DARE’s projects. An alternative to this project-specific way of working was presented last year. 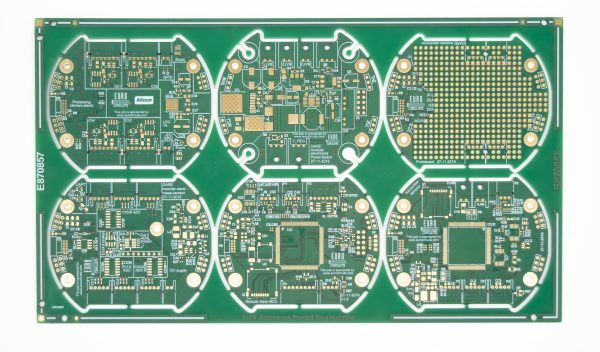 Flexible: The modular electronics support different ways of interfacing with its attached components, making it compatible with the exact components, sensors and actuators that are needed. 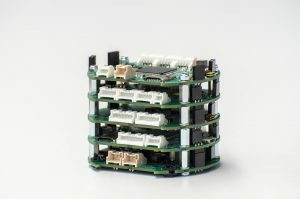 The modular electronics stack, consisting of 5 Printed Circuit Boards (PCBs). 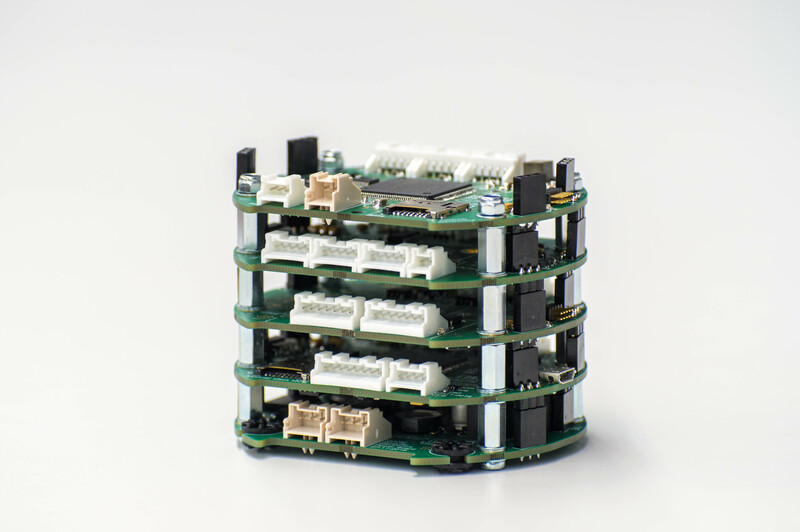 With these requirements and advantages in mind, the Electronics Team designed their PCBs and soldered two different types of stacks: the Project Aether stack(s) and the development stack(s). Each Aether stack contains just the components needed for the launch of Project Aether, while the development stacks are made for the development of the projects that are attempted after Project Aether as well. 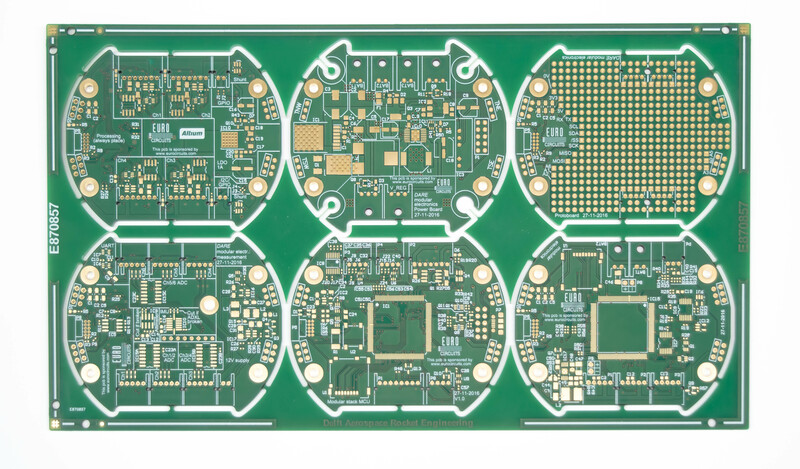 The Modular Electronics PCBs, designed in Altium Designer, printed by Eurocircuits. After soldering and driver and software development, the Modular Electronics will have its first real-world launch: Project Aether. Adequate space for batteries (thus support for components requiring more power). After the launch of Project Aether, there is still enough work to be done on the Modular Electronics: first of all, any inconsistencies with respect to the original design and requirements have to be fixed. Furthermore, the Electronics Team is planning to develop the drivers and software for the remaining components: components that were not used for the launch of Project Aether. We are also creating a development environment so the other sub-teams within DARE can program a launch sequence using our own programming language, which is specifically for this use case. All these additions to the Modular Electronics will ensure that it will be used for a long time, powering future DARE projects. Previous: Previous post: Aether: Roll-out of our First Actively-Stabilised Supersonic Rocket! Next: Next post: CanSat: Launchday preparation!